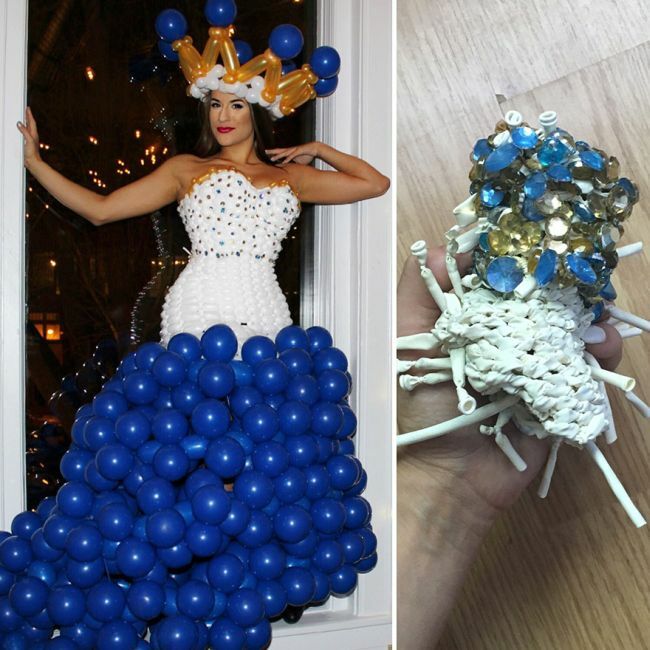 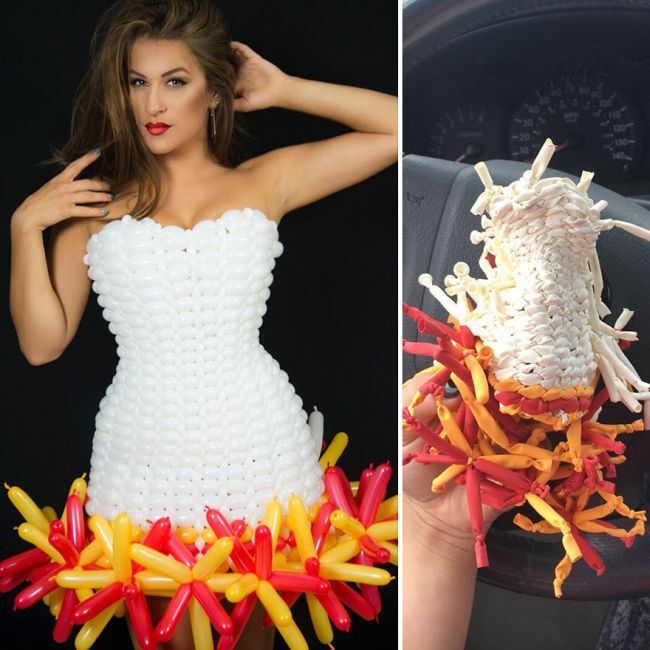 Molly Munyan refers to herself as a “self inflated balloon artist.” She creates incredible balloon dresses that are sure to draw attention to anyone wearing them. 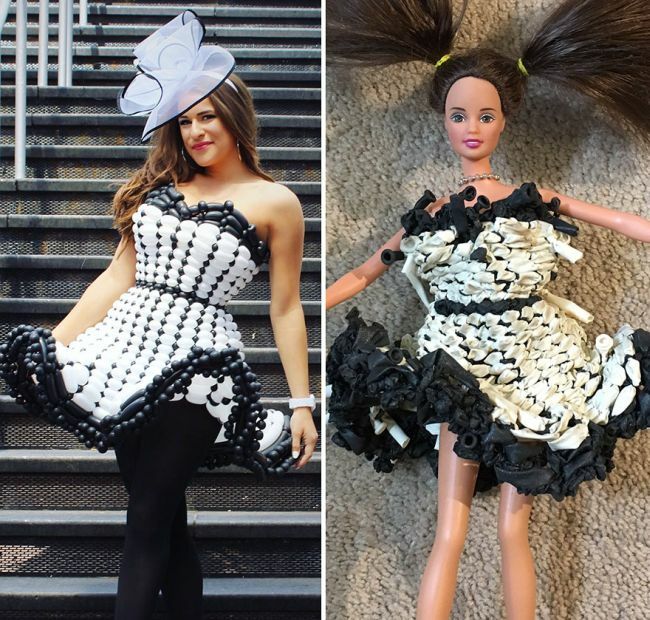 But the dresses don't last forever, and after only one month they become shrunken creations. 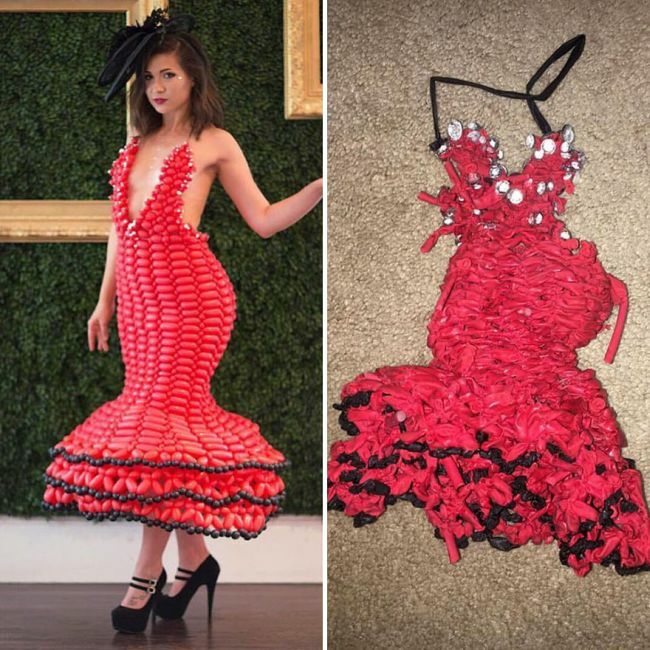 I thought they were going to show us how they look on her.